Remember that Whole Foods sales run on a two-week cycle and their pricing and sales can vary regionally. The information in this post is based on the Mountain Region, in which Kansas is included. If you find different prices or other sales, please leave a comment and I will update this post. Most Whole Foods allow you stack store and manufacturer coupons, but be sure to clarify your store’s policy so you don’t end up frustrated at the check-out. And finally, don’t forget that Whole Foods gives a $.10 discount for each cloth bag you bring in, and you get a 10% case discount. On most products, a case = 12 products. Thanks to Your Green Helper for a number of these match-ups. 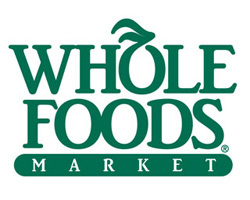 Have you started deal shopping at Whole Foods? What’s on your list this week? Don’t forget to let me know if you find other deals at your Whole Foods store, so I can update the list. SO excited to see someone from the KC area doing Whole Foods coupon matchups!!! It’s the main place I shop! FYI there is a coupon for Veggielife protein product $1 off at http://coupons2.smartsource.com/ and there is a $1 off on the whole foods coupon page.